Former Congressman Charles Boustany, Jr., M.D., is a partner at Capitol Counsel LLC, where he focuses on health care, tax, and trade issues. Boustany joined Capitol Counsel at the beginning of 2017 after over a decade of service in the U.S. House of Representatives. He served Louisiana’s 7th district from 2005-2013 and the 3rd district from 2013-2017, following the elimination of Louisiana’s 7th district. During his 12 years in Congress, Dr. Boustany served on the influential House Ways and Means Committee and was Chairman of the Subcommittee on Tax Policy. 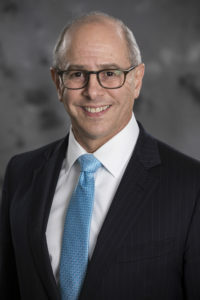 As a member of the House Ways and Means Committee, Dr. Boustany established himself as an expert and leader on tax, trade, health care, and entitlement policy. Boustany was a co-founder of the Friends of the Trans-Pacific Partnership Caucus, co-founder of the House Doctors Caucus, and a co-chair of the bipartisan U.S.-China Working Group. As a Congressman, Dr. Boustany authored legislation on a wide range of subjects, from tax issues to welfare. Dr. Boustany initiated the IRS investigation that uncovered the abusive practice of targeting individuals and organizations based on political and religious beliefs. Additionally, he developed and co-authored landmark legislation that repealed the sustainable growth rate formula for physician payment and transitioned physician payment to a system that rewards quality and value rather than volume. Dr. Boustany also authored trade enforcement language that created the tools for more effective trade enforcement in an effort to stop abusive practices. In the private sector, Dr. Boustany served as the President and CEO of his own private practice of medicine in the field of thoracic and cardiovascular surgery from 1990-2004. During this time he launched extensive quality improvement in open heart programs in two community hospitals which garnered national recognition. Additionally, he served on the Board of Directors at Lafayette General Medical Center.